Clark, Lloyd. 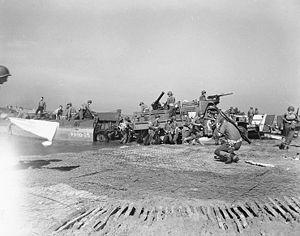 Anzio. Headline Publishing Group, London. 2006. ISBN 0-7553-1420-1. D'Este, Carlo. Fatal Decision: Anzio and the Battle for Rome. 1991. ISBN 0-06-092148-X. Fifth Army Historical Section. Salerno American Operations From the Beaches to the Volturno 9 September - 6 October 1943. CMH Online bookshelves: American Forces in Action Series. Washington: US Army Center of Military History. 1990 . CMH Pub 100-7. Grigg, John. 1943: The Victory that Never Was. Kensington Pub Corp. 1982. ISBN 0-8217-1596-8. 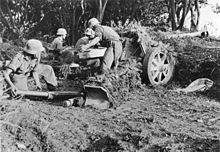 Mavrogordato, Ralph S. Chapter 12: Hitler's Decision on the Defense of Italy. (编) Greenfield, Kent Roberts. Command Decisions. CMH Online bookshelves. Washington: US Army Center of Military History. 2000 . CMH Pub 72-7. Muhm, Gerhard. La Tattica tedesca nella Campagna d'Italia, in Linea Gotica avanposto dei Balcani, (Hrsg.). Roma: Amedeo Montemaggi - Edizioni Civitas. 1993 （意大利语）.